Andy has been a passionate car enthusiast since a very early age. A chartered electrical engineer, Andy has a very ‘hands on’ approach within 6th Gear and can often be found underneath a Supercar helping the technicians to fix an issue! Also keen racer, he has raced in over 100 races and achieved the accolade of Radical European Masters Champion in 2014. Andy is now racing in a Ligier LMP3 Le Mans prototype in the Le mans Cup . 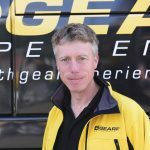 Andy is proud to be one of the co-founders of 6th Gear. 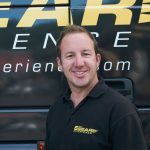 Ian has worked in the Supercar experience industry for over a decade in various roles. 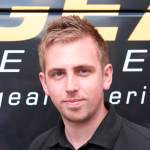 Ian first came to 6th Gear as an Ariel Atom instructor (famous for the Youtube Deer experience!) and has worked his way through the ranks to event manger. 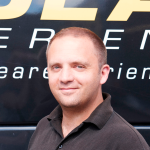 A qualified approved driving instructor, Ian ensures all 6th Gear’s days run like clockwork. 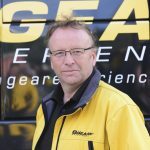 Marc has over 20 years experience in motorsport photography and has worked with 6th Gear since 2010. A keen skier outside of work, he enjoys spending time in the French Alps flying down the pistes. Sophie is a happy, outgoing person who enjoys her customer services role immensely. Outside of work Sophie enjoys travelling and socialising with her friends. Tracy-Jane is a fun-loving, outgoing member of the team with over 20 years of hospitality experience. Tracy-Jane is a Supercar enthusiast whose favourite Supercar is the Bugatti Veyron Cinque! Tracy-Jane manages the customer registration team and ensures that our customers days run like clockwork. 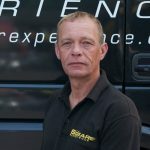 Andy is an experienced racer who started Autograss racing at 15 years of age in a mk1 fiesta. After this Andy moved to circuit racing winning club championships along the way, then won ELF/Silverstone single seater championship the same year. Andy then progressed into saloon car racing with backing from many sponsors, winning the National XR Championship in 2002 with 1 round to go. Andy is currently coaching several novice drivers who have achieved top 4 placings in the overall championships they competed in with fastest laps, most places gained and lap records to hand. Andy also is an experienced Supercar and truck instructor. Darren is a long time motorsport enthusiast. In his younger years Darren was a successful rally driver having competed in the Lombard RAC rally in 1989 and 1990 in a Opel Manta Group B rally car. Away from work Darren enjoys travelling and spending time with his family and is currently coaching his son Charlie in karting. 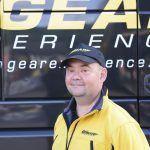 Don is our resident high speed ride expert, has worked for 6th Gear since early in 2010 and is usually found scaring customers to death in our Focus RS. 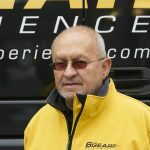 In over 40 years of competition experience, Don has competed in over 500 circuit racing and rallying events, culminating in two race and three rally championships. A works MG driver for many years, Don was the first driver to rally an Austin Allegro in 1974! A keen football fan he has supported Birmingham City since he was 10. Gawaine is a hardened Rally competitor, being the current British production rallycross champion. A winner of many previous rally championships including the BTRDA group N championship in 1999, as well as the National Tarmac group championships in 1995 and 2001. 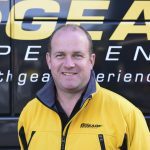 An instructor for over 20 years, Gawaine is usually found in the passenger seat of an Ariel Atom ensuring his customers have a great time. A keen cyclist, he has just returned from the transcontinental cycle race, which is a 2500 mile road race though most of the countries of Europe! Lloyd is a keen racer who has competed in numerous saloon car championships including MR2s and stock hatchs. He is currently racing a BMW 3 series. Away from work Lloyd is a keen martial artist. 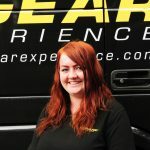 Lloyd can usually be found in an Ariel Atom coaching customers to get the best from their experience. 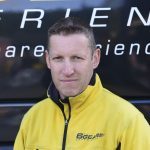 Nigel has been racing in various championships since 1999. He now competes in endurance championships in a modified Audi TT which he shares with another driver. 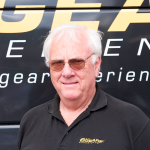 A long time instructor for 6th Gear, Nigel ensures all his customers have great time. 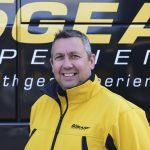 Nigel has over thirty years instructing experience across many disciplines including 4×4’s, karting and supercar coaching. A seasoned racer himself, Nigel has competed in many race series including Formula Ford, production sportscars and is proud to have won the F4 championship. He has also competed in a 24hr Kart race at Le-Mans where he and his team managed to raise £24,000 for charity. Rich is a qualified Approved Driving Instructor, who now teach’s and assess’s other ADI’s. 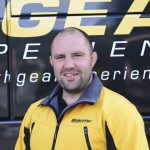 Having joined 6th Gear initially as a junior Supercar experience instructor, Rich has now progressed to circuit coaching and enjoys helping customers get the best out of their experience. Richard is a long time racer who has raced against some of the Formula 1 greats including Aryton Senna. A winner of several single seater championships including Formula Ford 2000, he was awarded the Grovewood award for the most up and coming Driver of the year in 1980. Still a keen racer now, Richard competes in historic Formula 3 races at great circuits such as Castle Combe, Spa, Monaco and Silverstone. Richard has been an instructor for 6th Gear since 2010. Roger has been involved with motorsport for over 40 years and was the Castle Combe 1974 Formula Ford champion. Since then, Roger has competed in many categories, with many championship wins. 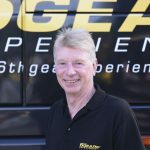 Having retired from racing now, Roger mainly instructs for 6th Gear and manages his son Roger (junior) who is also a keen racer. 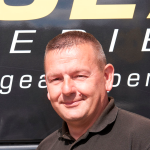 Russell is one of 6th Gear’s longest serving instructors, starting with us back in 2010. A keen racer in various championships, he has won four different championships and is the 2015 Atom endurance cup champion. Russell usually coaches our customers in our Ariel Atoms (in all weathers!) and enjoys all things car related. 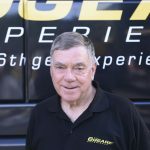 Stewert is 6th Gear’s longest serving instructor, having been with the company since 2009. A keen racer, he has won several championships including the modified Jaguar V12 championship four times. 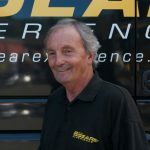 Stewert also undertakes many other driving roles where required including stunt driving, rally coaching and 4×4 instructing. Tim has raced in many saloon car championships including the Porsche Pirelli Series and the Jaguar endurance championships. 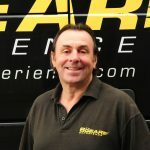 Tim has instructed for over twenty years with Castle Combe being his home circuit. A keen sportsman outside of work sees him enjoying Golf, Sailing and Shooting activities when time allows! 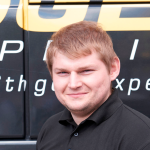 Wayne has worked for 6th Gear since 2011 and is usually found coaching our customers in a Lamborghini Gallardo. Wayne has raced in numerous championships including Stock Hatch, Hot Hatch and Britcar championships.